Albanian Riviera has attracted quite a lot the attention of world-known medias and travel magazines. This time, the coastal town of Dhermi beats the Greek Corfu island. The prestigious British media “The Sun” recommends to its readers the budget destinations in Europe, among them is Dhermi Albania. 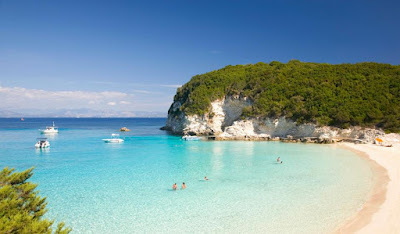 Corfu is a classic destination for Brits to head to, but it has a much more affordable neighbor. The Albanian Ionian coast is just across from that of the Greek island of Corfu and you can glimpse Albania from the shore in Corfu – and its beaches are just as idyllic. But if you want to mix things up then why not visit Albania? A plus point is that it’s far cheaper than that of its much-loved but tourist-packed neighbour. With a pint costing as little as 58p in Albania as opposed to £1.80 in Corfu, it’s a no-brainer.